Paul Keller Biography | Quality America Inc. Developed and managed systems for overall operations, including quality improvement, product development, partner relations, marketing, sales, order fulfillment and technical support. Provided statistical expertise to our customers, as well as internal Software Development, Sales and Technical Support teams. Developed and facilitated Six Sigma related courses, including Quality Management, Statistical Process Control (SPC), and Designed Experiments, to hundreds of our companies in a wide variety of industries including Roche Pharmaceuticals, Core3 Inc. Business Process Outsourcing, US Army, MacDermid Printing Solutions, Boeing Satellite, Dow Corning, Antec, Pfizer, Warner Lambert, and many others. Six Sigma Handbook: Fifth Edition (New York: McGraw-Hill, 2018); Fourth Edition (New York: McGraw Hill, 2013) and Six Sigma Handbook: Third Edition (New York: McGraw Hill,2009). Paul wrote all the new material for these editions, edited the earlier material, and authored a series of instructional videos for McGraw-Hill's Access Engineering online program. (These videos are also included in our online training). This text has sold over 140,000 copies, a true best-seller in the market! Handbook for Quality Management, Second Edition: A Complete Guide to Organizational Excellence (New York: McGraw Hill, 2012) Paul wrote all the new material for this edition, and edited the earlier material. SPC Demystified (New York: McGraw Hill, 2011). Six Sigma Demystified: Second Edition (New York: McGraw Hill, 2010) and Six Sigma Demystified (New York: McGraw Hill, 2005). Over 50,000 copies sold. Manufacturing Handbook of Best Practices (Boca Raton: St. Lucie Press, 2002) Contributing Author. Six Sigma Deployment (Tucson: QA Publishing, 2001). Six Sigma Study Guide (Tucson: QA Publishing, 2001) Co-author. Handbook for Quality Technicians and Mechanical Inspectors (Tucson: QA Publishing, 2000) Contributing Author. Handbook for Quality Management (Tucson: QA Publishing, 2000) Contributing Author. Numerous articles in professional trade magazines,conference proceedings, and Quality America's Knowledge Center (1992-present). 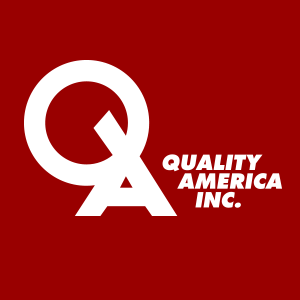 Before launching Quality America's training services in 1992, Paul specialized in Quality Engineering in the Masters Program at the University of Arizona. He applied these techniques as a Quality Manager for a consumer goods manufacturer (1990-1992), and an SPC Director at an industrial products manufacturer (1987-1990). In these roles, he developed company-wide Quality Systems to meet the demands of a diverse customer base, including the automotive and aerospace industries. Paul may be reached via e-mail.